Docket Theatre is an independent non-profit theatre company based in downtown Toronto. Its mandate is to “produce innovative and socially relevant work by emerging artists, while keeping theatre alive in a world overwhelmed with media entertainment”. Tocelebrate its fourth consecutive season, Docket Theatre is producing its first double-bill this summer at the Helen Gardiner Playhouse opening this Thursday. I sat down with Artistic Director Llyandra Jones moving between New Generation Sushi on Bloor to a nice sunny patio in the Annex to discuss the two plays, the development of Docket Theatre and their second show, a verbatim theatre piece called “Performing Occupy Toronto”. Hallie Seline: You are the Artistic Director of Docket Theatre who are producing their first double bill titled Staging a Rebellion, featuring two new plays: A Farewell Party & Performing Occupy Toronto, opening this Thursday. Can you give me a quick synopsis for each show? Llyandra Jones: Sure! A Farewell Party is a comedy written by Evan O’Donnell and directed by Alex Borkowski and it takes place in the 1920s. It’s kind of in the realm of F. Scott Fitzgerald’s The Great Gatsby, playful and fun but a time of political and cultural change. It’s the roaring ‘20s. There are people drinking and boozin’ and jazzin’ and dancing! It’s about youth and women in that time period rebelling against the paths laid out for them and this plan of how women are supposed to be. It’s about finding their own individual identities. It’s also a pre-cursor to the great depression, which we found relevant when pairing it with the Occupy play. The second play is Performing Occupy Toronto, which was written and put together by Rosamund Small and directed by myself. It’s a verbatim show. The script was taken word for word from real-life interviews and footage that Rosamund retrieved when she was at the occupation rallies last year. She sorted through thirty hours of footage to put the play together. It’s not like a lot of Verbatim plays where it’s just monologues of people who were interviewed. None of the words are changed but Rosamund is actually a character in the play. The writer is almost like a guide, kind of like a liaison to help the audience really understand the Occupation. The show is about hundreds of people and we only have just fewer than twenty actors so they all play between five to ten characters each. It’s a very ensemble based show. Both of these shows together are really interesting, and although they deal with very different subject matter, they both deal with rebellion and finding your own identity. From long before the 1920s until now, there is this struggle of people wanting to find themselves and be heard in a society that has your path laid out for you. HS: So this company was founded in 2008 and is currently in its fourth season. As a company of young artists, tell me about how Docket Theatre was formed? LJ: Well, it actually started as just a group of friends wanting to put on a play that Rosamund wrote. The founding members all went to Rosedale Heights, an arts high school where we all met. When we graduated and went to different universities and colleges, we wanted a way to keep us together so we decided to put on a show. Since then we’ve had three seasons and are now onto our fourth. The first two were really low-key, just scraping by with people in the cast putting in their own money for the down payment then just getting reimbursed after ticket sales. Last year, however, was really when we took the name Docket Theatre and we organized the hell out of ourselves. We began to find a template through which we could really get the theatre company off the ground. We moved to The Papermill Theatre in the Broadview and Danforth area. It’s a beautiful theatre in an old historic building in the Don Valley where we produced One Man Show, also written by Evan O’Donnell. This show was definitely the most complicated and tech-heavy show we had attempted, utilizing a lot of multimedia – videos, illustrations, that sort of thing. Last year, we grew in terms of the scale of the show we put on as well as our ambition with the kind of theatre we wanted to produce. This season, we talked all year and prepared to put on our first double bill with A Farewell Party andPerforming Occupy Toronto. When we received the submissions, it was at the same time where we wanted to make more socially relevant theatre, so I would say that now, in our fourth season, we have a much stronger idea of what our mandate is and of how we want to move forward as a relevant young theatre company. HS: Four years is pretty impressive for such a young theatre company. How would you say the Docket has evolved since its inception? LJ: I would say the main evolution has been with the growth of the artists that were involved and the focus of the company. We know what we want now. People often form a company so they can put on a play and then they disband it. That’s how we started, but what really holds a company together is finding that common goal and common passion. For us it was realizing that we wanted to make more socially relevant, original theatre – something that spoke to the youth and to the people of Toronto. We’re already in discussion with some different people that want to put their plays on and are asking Docket if we would do that. So I think in the future we’ll be open to expanding and producing more playwrights’ work through larger seasons. We’ve just been growing exponentially in our size and in our resources so who even knows what’s going to happen next year. HS: That’s exciting! On that note, in a time where more and more young artists must produce their own work, and many new young companies are starting up, have you found it difficult to stand out amongst the rest? LJ: I feel comfortable that we are unique and that people are recognizing the work that we are doing. It’s not that we need the validation, it’s that we see people wanting to work with us and they want to see the shows we are producing and come to our events and fundraisers. Since we have around forty people involved, they all have friends that are doing other things in the city, be it other programs or are in other independent companies, so there’s this networking effect that naturally happens when you support other people’s shows and they support you. That’s why I’m really glad that websites like In the Greenroom exists and that companies like Mnemonic Theatre who are creating a theatre directory are around. It’s great when there are people trying to connect these theatre companies and utilize the fact that we are all in this together, you know? I think what we’re doing at Docket is very exciting, unique and relevant and although we’ve only been Docket Theatre for two years, we already have a following. Hopefully it just continues to expand from there. HS: Have you found any challenges with funding, which seems to always be the major issue with the arts in Toronto? LJ: Mainly what’s hard in Toronto is just getting butts in the seats. I mean you can get people to go toBring it On: The Musical where they charge a hundred dollars a ticket and they sell out, but it’s almost impossible to get a hundred people to come see your show for one night which would practically pay for the venue. I mean you literally have CEOs running these giant companies like Mirvish where it’s a “for-profit” company and we just want to float. We’re not even getting paid. I think that’s the most challenging part being a small company. Creatively I’m very fulfilled but the administrative stuff kind of bogs me down because there’s just no money for it. The grants are so complicated. It’s hard, we are in a difficult spot where half of us are still students and half are graduates so we technically have too many students involved to be eligible for grants and too many graduates to be eligible for student funding. We are really looking forward to when we are all graduated, and can hopefully start applying for grants to financially help us to do what we want. HS: The Occupy Movement dominated media attention last fall. I think you’d be hard pressed to find anyone that doesn’t have an opinion on the matter. What is it like working on a show with subject matter that can be so polarizing? LJ: Yes, it’s actually been an incredible experience and it’s been one that’s actually been quite difficult to navigate. Before it even began, Rozy made it very clear to me that it was not an Occupy artist show, and that she was not a part of the movement and that the play does not take on either side. It does not explicitly criticize the movement just as it does not explicitly endorse it either. It literally is just performing it. Both sides are represented, the good and the bad of what happened in Toronto from October to November. The people who were the who uprooted their lives and were so passionate and fed up with the way that the world had been running that this is the way they rebelled. So it was incredible in the first place to know that I could not let my own politics get involved though I definitely have my own thoughts about it. The Occupy movement was very controversial because it’s not like all left wing people agree with it and all right wing people don’t. It kept transforming as it progressed. It wasn’t just a protest, it was a community developing. When the Occupy first started I went out a lot to see what was happening to support it. My politics are really in line with it and I personally agree with a lot of it. But the way that it developed with the bureaucracy that evolved within it, from what I saw, the whole movement seemed to turn into a very white, male, hetero-centered movement, which was surprising to me. So I found it interesting that these patterns in our society perpetuate even in a community rebelling against that very thing. It’s pretty hard to not let my politics get in the way but beyond that, we have the strangest kind of rag-tag group of actors from all different backgrounds with very different views. My assistant director Vivien spent a lot of time navigating that. We needed to make sure that the show wasn’t about everybody’s views. It is about playing these characters and telling their stories. HS: I heard something about taking the cast to a protest. Can you speak a little more about that? LJ: Right off the bat when we started there was the yearly May Day march on May 1st, which is the international workers day organized by No one Is Illegal, Occupy Toronto and other activist groups. It was a huge protest and march, so I got the cast to come and participate. It was an opportunity where they could experience a giant march and what it was like to be in the environment that the play creates. Most of them had never been in a protest before and therefore had no visceral experience for it. I told them not to be embarrassed or shy and to just treat it like it was an improv. Go with the chants and go along with the march. It was incredible to see them transform. They felt so liberated and felt so much more prepared to play these characters. They had experienced a rush of being united in a group of people even though there were varying beliefs amongst us. HS: Do you think it will be hard for an audience to put their own biases aside? LJ: Yes. If audience members are coming to see the play, hopefully they can put their biases aside for an hour. If they hate Occupy, they’re probably not going to come and see this play but I would love for somebody who hated the movement to come so that they could see these protesters as people, you know? There are characters in the play that seem crazy and are there because they want to wear an astronaut suit and dance around or be in a drum circle. Then there are characters who are there because they want to change the world. Everyone was respected as a community and the interesting thing is that there was no hierarchical structure. No one was the leader, which there was also some controversy around. Hopefully, for the audience that comes, they will see that this is a story of a group of people. There’s no protagonist or single story arc. The movement and the people themselves are the protagonist so I think it’s very different than the plays people often see. It’s more like a collage. It’s incredibly new and different. I hope it can make people think and stretch their perspective. I think that any good theatre leaves you talking or questioning in a way that you didn’t before. HS: Going off of that, I hear you’re planning a sort of discussion panel after the show? LJ: Yes! We are launching a discussion panel after our opening show at 9:30pm. It all started off when Elizabeth May, the leader of the Green Party, got in touch with Rosamund after the Paprika Festival’s reading of Performing Occupy Toronto. We got so excited and thought, “Well, why don’t we do a discussion panel that she could be a part of”. We had no idea if she would actually be able to take part because she is a very busy politician, but we wanted to hear a politician’s perspective on theatre in Toronto. HS: Any hints as to who’s involved? As of now we have Kate Lushington (the former Artistic Director of Nightwood Theatre), and Rob Kempson (current Artistic Director of the Paprika Festival and Associate Producer for Theatre Passe Muraille). There might be some more in store, we are waiting to hear back from a whole slew of artists, activists, and politicians that we’ve got in touch with. We are hoping to involve some sort of city counselor as well. HS: Where do you see Docket Theatre heading in the future? LJ: To the moon. Ha ha, that’d be great. Theatre in space! We’ve been talking a lot about where we want to go from here. We are hoping to be active throughout the whole of next year. We want an ongoing dialogue with artists as well. I would like us to have a monthly meeting where we read original plays so the playwrights get to hear their work and actors get to keep active and read. We would discuss what worked, what didn’t and why we think the play is relevant. Hopefully it will help us keep that creative spark going throughout the year. Next year we are going to produce our usual summer show and hopefully add a show in the winter if we get enough applications. We have the manpower to do it now! We’d love to do two different shows at different times and we eventually look forward to doing a season of shows. Our big goal is to have one space to use as a hub for artists to practice original work, share their skills and what they learn. 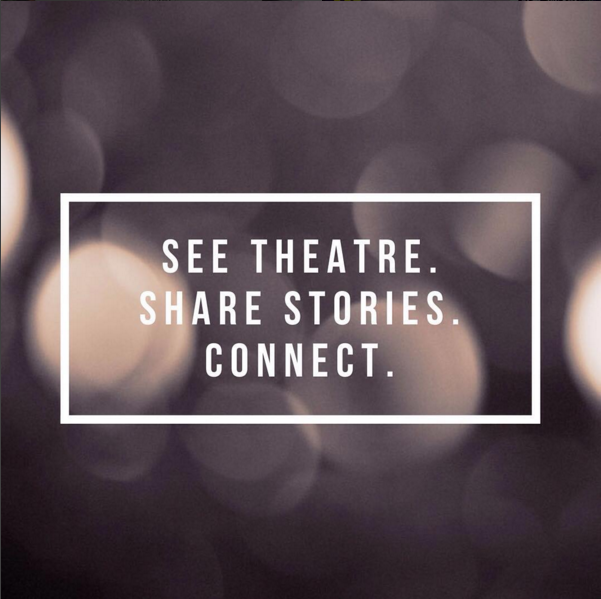 We’d love to put on acting, playwrighting, and even design workshops! Essentially, we hope to create a space for artists to nurture their skills and help develop their art. That’s our goal.